Summer is all about long, bright days and staying fit outdoors. We’ve compiled a tech guide showcasing the latest accessories ideal for keeping you charged up all season long. Oakley, the maker of performance athletic eyewear, has released a new lens technology called Prizm Everyday. Originally designed for pro sports applications, these unique lenses are tuned to absorb specific light spectrums and optimize contrast so the wearer can see details normally missed by the human eye. Prizm Everyday has been adapted to many lifestyle models across the lineup and available in a multitude of colours, perfect for taking along on a jog, a round of golf or just, well, everyday use. One of those is the Latch inspired by the skateboarding world. The round frames have a distinctive keyhole bridge and are named after an innovative latch at the hinge that can clip to a shirt when folded. Another is the Frogskins Grip Collection, a remix of the iconic collection from 1980s paying homage to the brand’s early roots as a producer of motocross handgrips through vintage styling and hues. 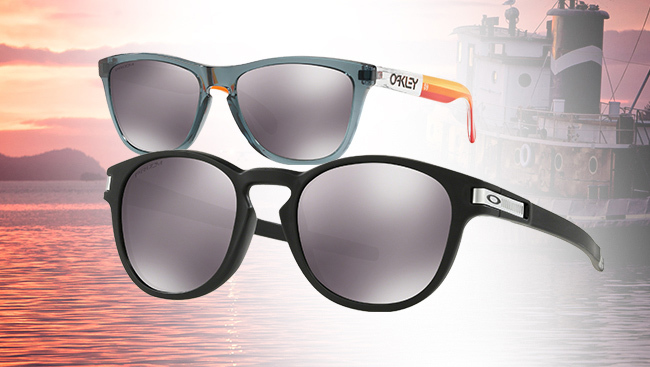 Most Oakley glasses can be had in “Asia Fit,” constructed to sit slightly higher on the nose bridge than regular variants. Why not keep your valuable hardware safe with some nifty official protection? The lightweight soft vault shell is a convenient, elegant way to carry a pair of Oakleys, or for the gearheads, pick up the racy pill-shaped carbon fiber case. To make sure Prizm does its job correctly, keep a lens cleaning kit handy. Inside, the specially formulated spray and streak-free cloth work together to clean dirt, dust and oils while keeping the Prizm Everyday lens coating safe. Every runner knows there’s nothing more irritating than dangling earphone cables when you’re out pounding the pavement. 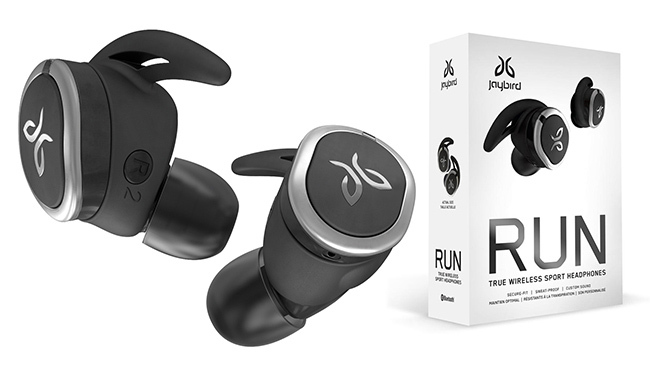 Swiss-based company Jaybird, owned by computer accessory giant Logitech, provides a solution in the RUN True Wireless Sport Headphones with built-in mic. The compact Bluetooth-enabled earbuds offer a comfortable and secure fit thanks to different-sized swappable silicone tips and “fins” helping to keep the units anchored in place. Although possessing no noise-cancelling properties, the RUN packs big sound in a small package. Each side is controlled by single-button operation – the left activates Siri/Google Assistant, the right takes calls and starts/stops/skips tracks. A double hydrophobic nano coating protects against sweat and rain, and battery life is great, lasting up to four hours. It includes a portable charging case yielding an additional eight hours of juice. Users can also download a free app to adjust equalizer settings, find missing buds and listen to Spotify playlists shared by others in the community. WF-SP700N that Sony touts as the world’s first truly wireless headphones comes with the noise cancelling feature. A successor to last year’s minimalist and monotone WF-1000X, these new examples are brighter and bolder coming in four different colours. A toggle-able Ambient Sound mode lets in limited exterior audio, which is important from a safety perspective when exercising outside or anywhere additional awareness of one’s surroundings is required. As expected in a Sony product, the music hits hard due to EXTRA BASS technology lending playing deep, crisp bass to any song. Like the Jaybirds, the WF-SP700N utilizes “arc supporters” for improved fit, is splash-proof and comes bundled with a travel charge case. However, battery is rated at a slightly lower three hours of operation, or nine factoring in the two complete top-ups the case offers. A bonus is that aside from Bluetooth, NFC is enabled meaning a super-quick connection to a compatible phone. Almost all electronic fitness accessories require some sort of mobile device to fully function, whether it’s to stream music from or adjust settings in a proprietary app. 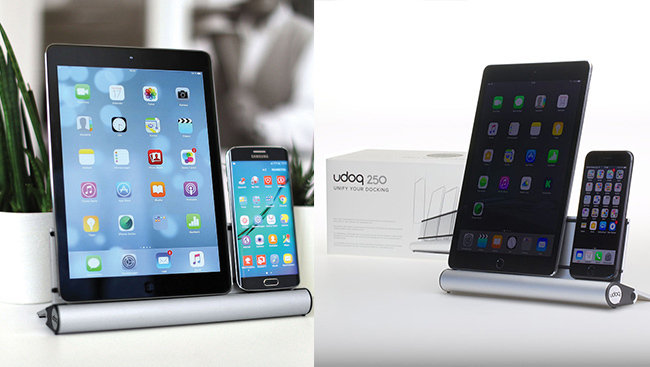 The udoq ensures your phones, tablets, e-readers, smart watches, etcetera stay fully charged, and look good while doing so. The sleek docking station is crafted from high-grade aluminum – not unlike the kind adorning various i-offerings – and is also sold in three larger versions (400, 550 and 700 millimetres) accommodating anywhere from four to 12 devices, depending on size and orientation. Setup is simple: when purchasing, customers choose the type of cables needed. They attach to a sliding track at the base of the dock using adapters allowing custom positioning for whatever’s being charged. Silicon strips protect against scratches on naked gadgets, and the cables neatly snake out back through an opening. There is an optional rear-mounted box to hide wiring, a multi-port USB charger, wall mounting kit and more. Seeing as how the weather is heating up again, people are quickly making plans to hit the road in search of their next sunny adventure. If weight-loss is on your list of resolutions for 2018, you’ll definitely want to check out the seven apps below. To help make the gift giving gauntlet easier on the bank account, here are seven apps that could help you earn a few extra bucks this season…and have some fun and even get healthy in the process. We’ve rounded up four of the latest and greatest gift ideas for that special music lover. Here is the hottest tech out right now to get you back into the educational mood.